In a world of smart devices and technology, our living spaces have stepped up to the plate in order to keep up with the emerging trends and needs of the luxury consumer. While minimalism has certainly had its moments over the last decade, we are seeing a shift in more indulgent home decor and amenities. 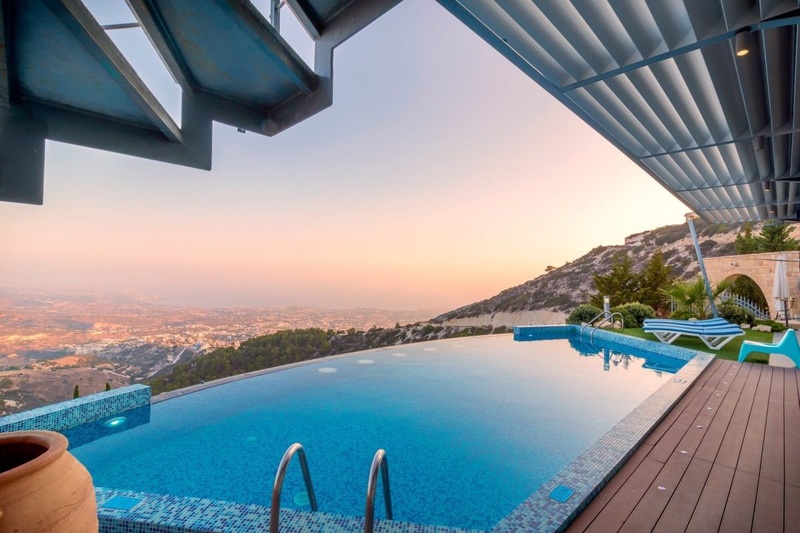 Luxury experts say we can expect high-end elements of nature and new waves of smart home technology to be main features affluent buyers will be willing to spend more money on and in the world of luxury real estate, could be serious game changers when selling a home. Health and wellness have taken the world by storm and while dietary aids, such as kombucha, and new fitness trends continue to emerge, the luxury clients are willing to go far beyond a new drink or workout to achieve the highest level of health. An at-home spa or sauna is not only convenient, making health and relaxation accessible at any time, it also proves to be a standard of wealth and success in the luxury world. While relaxation and health are a big focus in the world of the wealthy, a strong physique and consistent workout regimen completes the package. What better way to workout than from the comfort of your own home? Plenty of space, no waiting for a machine, and forget sharing workout equipment with anyone other than your own family members. With technology becoming a larger part of our lives with each passing day, many are finding smart devices within their home to also be an important component in the digital age. Whether you want Alexa to play music, adjust your heat or air, or your garage to close itself automatically while you are miles away, smart homes are only just beginning to show what they have to offer. Jumping on this trend now will be to your benefit as we can expect this extra feature to become a requirement in the years to come. On top of adding smart devices, a secure home is one of the most basic but important needs of your luxury consumers. Knowing their home and family is safe is a number one priority and many affluent clients now expect for their homes to be built or wired for them to be at little to no risk. Encouraging sellers to update their security systems could be a crucial part of selling their home. Although an updated security system seems minor, we can assure you this is one feature most buyers will refuse to compromise on. Bringing in elements of zen to a luxury home is important and with the rise of self-care, bath bombs and facial oils, bathrooms are quickly becoming an extremely important room in a home. Waterfall shower-heads with limestone natural flooring or an all-glass wall with striking views are only the beginning of endless possibilities. When selling to a luxury client, remember that the bathroom could be a huge selling point. Man-caves are no longer the only fun adult room in the house. Think adult game rooms, bar areas, movie theatres, and more. Luxury homes are taking entertainment to the next level and consumers are really looking for ways to make their house more of a home, which includes finding ways to have fun without having to leave. Family oriented consumers will find having a fun space for the entire family to hang out or a place where adults can entertain for their friends makes having a home more enjoyable and makes the investment definitely worth it. No one likes for their home to be disorganized and with a generation that seems to accumulate a lot of possessions, larger closets are a MUST for luxury homeowners. Closets with built-in shelving and ample amount of space for clothing, changing, and storage are for sure to be impressionable features and will most definitely make a huge difference in day-to-day life. Instead of coming home to piles of clothing with nowhere to put them, imagine everything with its own place. Where do we sign up? Bringing the outside, inside makes for a sense of calmness and oneness with nature. While we see many natural elements used in kitchens and bathrooms, luxury homes will take the next step adding mossy and green decor and natural woods in decor items such as light fixtures. Water features and open nature within the home creates an earthy appeal is definitely a favorite luxury trend homeowners will love in 2018. A motivating at-home office space is a need for many in this day and age of social media influencers and entrepreneurs. Whether you work from home full-time or you need a place where you can put in some work after hours, a comfortable state-of-the-art office is crucial. Just a pool will no longer suffice. Consumers want to feel as if they can “get away” without ever having to actually leave. A well-designed outdoor space with fire-pits, high tech grills, cabanas, outdoor natural pools and water features, and other luxurious features will have you feeling as if you are on vacation in Cabo, all while keeping the comfort of your own home. Throwing parties or celebrations will be a breeze and it whether alone, or with family and friends, luxury homeowners know the value of having an outside that is just as appealing as the inside.